First Baptist Church of Opelika has established First Baptist Opelika Christian School under the authority and guidance of the church leadership. First Baptist Opelika Christian School desires in everything it does to lift up Jesus and to love people while pointing to God and His wisdom as parents choose how and where to educate their children. The purpose of this ministry is to provide those parents who choose to home school their children legal covering, support, and encouragement in the spiritual development and sound academic education of their children with respect to established state guidelines. The education of each individual child shall be the responsibility of the participating member parents, who are answerable to God as their ultimate authority. 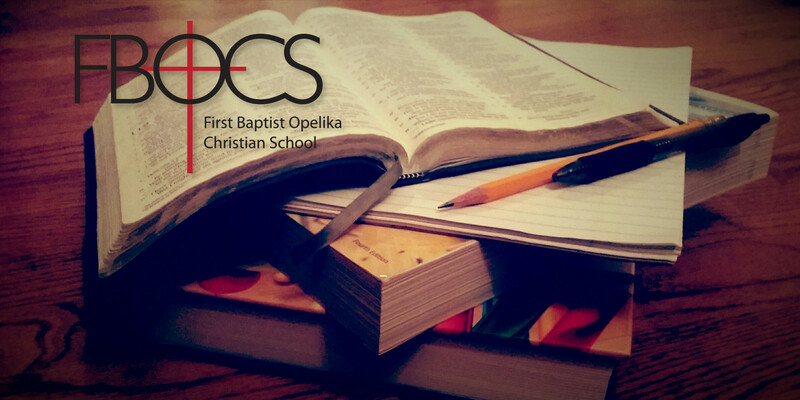 First Baptist Opelika Christian School provides a legal covering [in accordance with Alabama Code §16-28-1(2)] for home educators who are residents of Alabama and live within a 60-mile radius of First Baptist Church Opelika. Families who have no students of mandatory attendance age can enroll as associate members who enjoy the privileges of group activities without having to submit academic records. Group activities include field trips and social events throughout the year as we have volunteers to host them. FBOCS members are able to utilize the FBOCS Resource Room where they have access to books, curriculum, and other educational materials. Official high school transcripts are maintained for each student in grades 9 – 12 and are sent to other academic institutions upon request. Graduates of FBOCS are given a high school diploma and may participate in a graduation ceremony at First Baptist Church.